Your cleaning is performed by honest, experienced technicians who excel at pleasing you. You’ll love our cleaning technicians. We always do full background checks and only hire the most pleasant, service oriented people. All of our techs are fully trained in carpet cleaning and speciality spot and stain removal. This way Collierville, TN area residents get the most amazing customer service experience ever. If You’re Not Happy It’s Free! Experienced Technicians: We have seen every type of soiling conditions and spot or stain. Even yours. Formal Education: We are trained in every type fabric, soiling conditions, spot and stain removal and even odor control. We use the exact standards set by the iicrc which is the world’s most reconized body of certification for the cleaning industry. You can be sure that we bring this experience and education right to your job site. The Best Cleaning Systems: We give you the most through carpet cleaning possible. Our carpet cleaning system is designed to get maximum soil removal and maximum spot removal without over-wetting your carpet or leaving a sticky residue behind. Plus your carpet dries fast. 100% Guarantee: “If you’re not happy, you don’t pay.” If, after cleaning a small area, you aren’t happy with the results, we will leave and you owe us nothing. No hard feelings. What else could be more fair? No Spots Returning Guarantee: If for any reason, a spot that we were able to remove, happens to return, we will come back “Free of Charge” to remove that spot for you. Pleasant and Careful Technicians: You will be extremely pleased with the cleaning technicians that we send to your home. 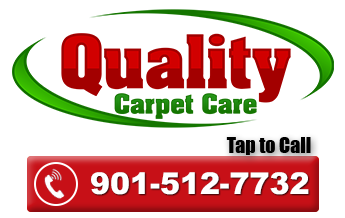 One Call Cleaning: We can clean any type of carpet, tile, upholstery, rug, and even air ducts. Exact Appointment Times: We give you a two hour window for our arrival. Not this 8am-2pm plus, you’ll get our on-time guarantee, if we are late, we will reward you with one free room of carpet protector. Safe and Healthy Cleaning Agents: Our main cleaning agents are baby safe, children safe and pet safe.